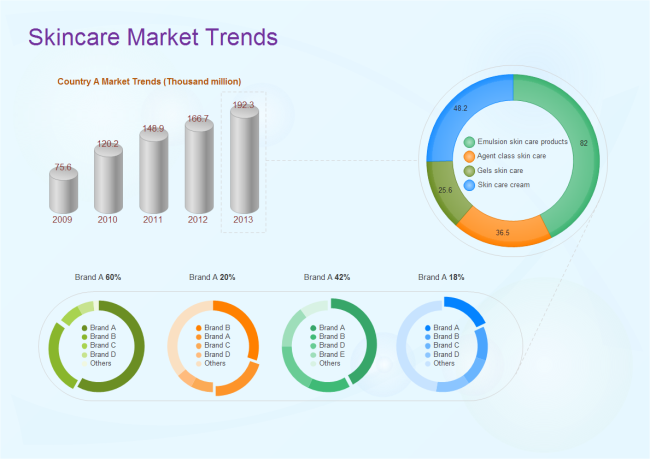 Description: A free customizable skincare market trends template is provided to download and print. Quickly get a head-start when creating your own marketing diagrams. In this template, the value and shapes are interactive, so changing one of them leads to automatic change of the other.